Many thanks to Charlotte for reading and commenting on three recent rewrites and edits of Keewatin. The novel is finally in paperback (there is also a Kindle version). Don’t click on the pic above to look inside! Click the Keewatin link here instead. 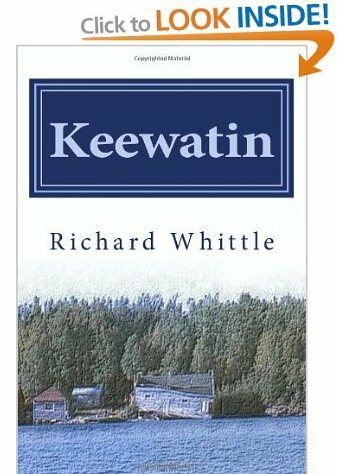 Keewatin is an adventure story set in Canada in the 1980’s. I wrote an original version for my son when he was eleven – though this published version bears little resemblance to the original. Alex Mackenzie’s father disappears while on a visit to a mine in the Canadian north. Search parties fail to find him. When school breaks up for the summer, Alex’s friend Suzie invites him to fly with her to Toronto to stay with her aunt. It is a plan by her parents to get Alex’s mind off his missing father. In Toronto things go badly wrong. Will they be allowed to stay with their aunt, or will they be sent back? And what happened to Alex’s father? Keewatin takes the reader into the Canadian wilderness accompanied by an anxious Alex, a feisty Suzie and a truck called Mog. An adventure for older children and younger teens. Parents: A safe adventure story! Read and enjoyed by 8 to15 years. 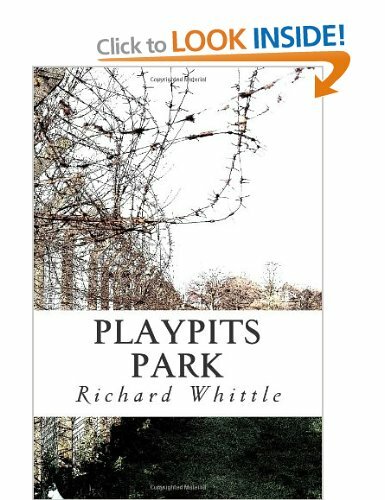 No reviews yet… My first published novel, Playpits Park, had several 5-star reviews (see here). A few years ago I put a draft of Playpits on the Harper Collins Publishers website ‘Autonomy’. Here are the peer reviews. Playpits Park paperback – at last! 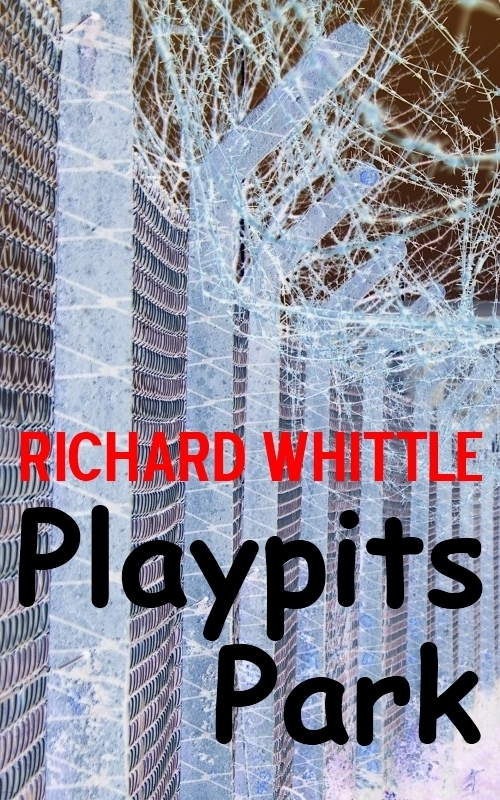 It must be at least a year since I decided to release Playpits as a paperback. There seemed to be so many problems with on-demand book publishing (particularly the US tax aspects – any profits are miniscule anyway) that it just wasn’t worth the trouble. Besides, Playpits for Kindle was out there already, so what was the point? The point was, I discovered, that I kept being asked when I was going to get the book out as a real book. Playpits Park was free and now it isn’t. Amazon offered it free Saturday-to-Friday, not Monday-to-Sunday, which was how I thought I had timed it (you know the kind of thing –‘it may take a few days to set up, etc). My apologies if you went for it and missed out. 544 people downloaded it and it went to Number One on the Amazon Kindle downloads list. But giving it away isn’t quite the same as selling it, is it? So not a bestseller, but a Best Giveaway. Some more 5-star reviews would be nice. Fingers and toes crossed…. If you own a Kindle, or have a free Kindle App for your phone or PC, I have recently put one of my novels up on Amazon. Also, I see it has received two rather nice 5-star reviews (nothing to do with me, Guv, honest…). Is writing to yourself better than talking to yourself? Debatable. No, it is probably worse. When you talk to yourself at least you can do other stuff, whereas writing to yourself takes time … like right now. One day someone else will read this. And then I won’t be writing to myself. So why a blog? And why Playpitspark? A blog because it might be a good way to get published (yes, okay, so that’s rubbish. I don’t expect a white knight – or a white dame – to rescue me from unpublished oblivion. It just doesn’t happen). Ahh… so why Playpitspark? Playpits Park is one of my earliest novels, possibly my best. About 10 years ago I sent it to Random House. I got a reply from Simon King, the MD of Hutchinson, Century, Heinemann and Arrow. He had personally edited my first few chapters. He had read the whole thing. His letter to me was over a page long. He said ‘I like your writing. You will get published. It might take some time, but you will get there.‘ He also said he wasn’t sure what to do with my book because it appeared to be a children’s novel but there were real deaths. (Real deaths, yes… how times have changed!). It wasn’t supposed to be a children’s novel. I took his comments on board. I have rewritten it – ten years on! I read that Simon King has now retired. Good luck in your retirement, Simon. If it wasn’t for that early encouragement I might well have given up.